Pine and spruce are two popular types of wood that can be used for building a fence. Each particular wood has its own assets and drawbacks when it comes to its value as a fencing material. Spruce is probably the least expensive fence board on the market. So if you are looking for a cheap material and nothing else, then you might consider spruce as your building material. Spruce is not acceptable as a wood to be pressure-treated, and some of the pines, such as white pine, have only limited success when the same procedure is applied. The one major exception is the Southern yellow pine, which is very porous and makes an excellent outdoor fencing material after it has been pressure-treated. 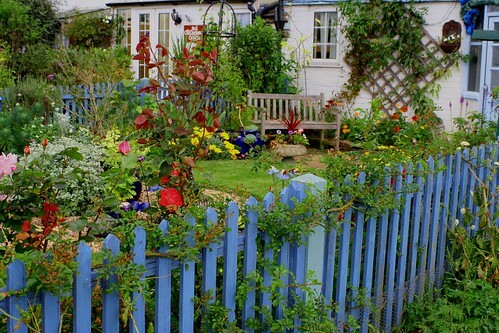 Painting a fence is a time-consuming process that needs to be repeated every five to seven years, but if want a strong color in your fence this is the way to go. Pine definitely takes a coat of paint better than spruce. Stained spruce wood is not recommended for outdoor use, and most pines aren't either except for a porous wood, such as Southern yellow pine. Generally speaking, pine and spruce woods have little or no natural resistance to rot or insect decay, so they are not a high-priority choice for outdoor fencing.